Metal Gear Solid Peace Walker is the PSP game that released after Metal Gear Solid 3 and Metal Gear Solid 4. From what I can tell it was the most recent game in the franchise until last month's release of Metal Gear Solid 5. I think chronologically the story takes place between MGS 3 and MGS 1. I was out about $5 after the other day's failed attempt at Metal Gear Solid 3, and Peace Walker was only $4. So, if these didn't work out I wasn't going to feel too bad. I just wanted to sample what the series had done over the most recent entries. I found Peace Walker to be a mixed bag, but not in the way I expected. It had a clear tutorial and taught the gameplay very well. I also liked the characters, setting, and mood right from the outset. It had some cutscenes but they weren't overbearing in the way that MGS 3 was. I generally liked where they were going with the series. The only downfall were the controls. But this time I could tell they were trying to go with a modern control scheme. The problem was they were limited to the single analog stick of the PSP. Even playing a PSP game on Vita there's only so much I could do to alleviate the controls. But it was a good sign. 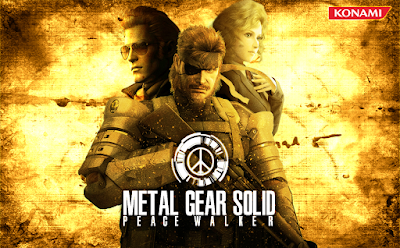 If I had a horrible experience with Peace Walker I would have given up. Instead, I was interested to see what they had done next. Which is why I installed Ground Zeroes on my PS4. It's the prequel to Metal Gear Solid 5 and I had already gotten it for free on PSN. It was awesome. It had stealth gameplay, with modern controls, modern storytelling techniques, and a Metal Gear Solid vibe. Ground Zeroes is the first Metal Gear Solid game that I've latched onto this strongly since I played the original Metal Gear Solid on the original Playstation all those years ago. I spent the night exploring the facility in Ground Zeroes and having a blast. It's doing so many cool things. Using binoculars to tag enemies and equipment is surprisingly fun. Being stealthy and exploring felt great. When I triggered an alarm or got spotted the gunplay was a ton of fun too. And I wasn't fighting the controls at all. Ground Zeroes got me back into Metal Gear for the first time in years. So I bought Metal Gear Solid 5.